Aiming to verify that the minimum standards for working and living conditions have been implemented for crews working on board commercial vessels, as well as generate more awareness, Port State Control Officers in the Paris MoU region have carried out a Concentrated Inspection Campaign (CIC) on Maritime Labour Convention (MLC), 2006. A total of 3,674 questionnaires for the CIC have been completed during regular inspections over a period from September 1 to November 30, 2016. The campaign resulted in 42 detentions (1.1 percent) directly linked to the MLC, 2006 requirements. Positive results were recorded on certificates attesting medical fitness (98.2 percent), the verification of records of the inspections of the accommodation (98 percent), food and catering (97.4 percent) and whether a safety committee has been established (99.1 percent). 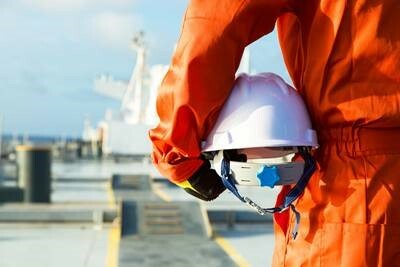 Less positive results on noncompliance were recorded on Seafarers Employment Agreements not being compliant with minimum standards (6.5 percent) and the availability of the onboard complaint procedure (5 percent). Most of the 3,674 ships inspected during the CIC were general cargo/multi-purpose ships (1,062, 28.9 percent) and bulk carriers (789, 21.5 percent), and most inspections were performed aboard vessels flying the flags of Panama (433, 11.8 percent), Malta with (328, 8.9 percent) and Liberia with (314, 8.5 percent). The campaign results will be further analyszd and findings will be presented to the Port State Control Committee. The final CIC report will be published on the Paris MoU website.